There may be a huge reason Daniel Ricciardo’s always so happy. 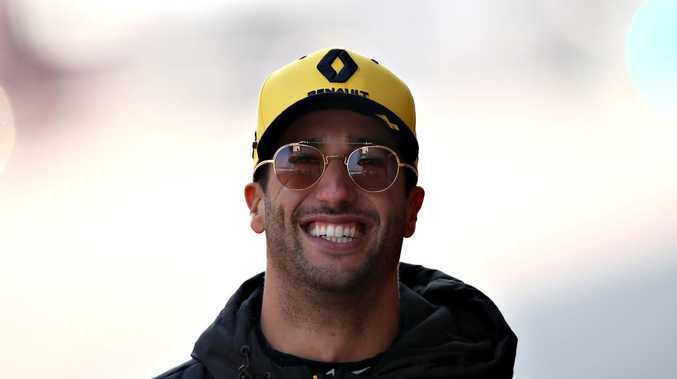 F1 star Daniel Ricciardo may have moved to the "best of the rest" with his Renault move but the Aussie has moved into the big boys in terms of remuneration. UK publication The Mirror revealed the pay packets of each of the F1 drivers, which is led by Mercedes' Lewis Hamilton (AU$73.9 million) and Ferrari's Sebastian Vettel ($56.3m). In January, Renault F1 managing director Cyril Abiteboul said the team hadn't paid "stupid money" for Ricciardo, especially with all that comes with the Aussie star. Speaking with Fairfax Media, Ricciardo said another reason behind his move from Red Bull to Renault was because he's ready to lead a team. "There's more of a chance for me to do that at Renault," he said. 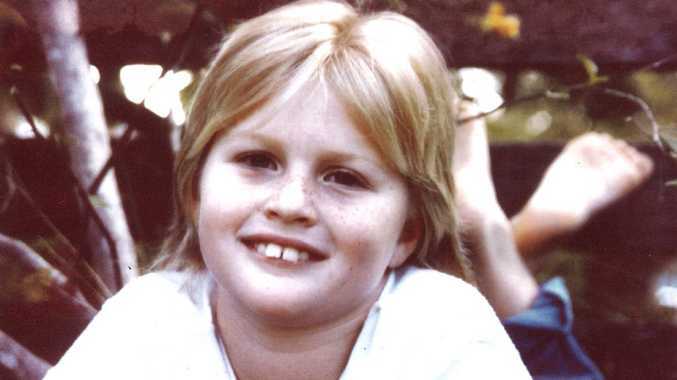 "Coming here, people know a little of what I'm like, but they don't really know me. People in this team now are meeting me as a 29-year-old, where a lot of people (at Red Bull) met me as the 20-year-old young kid. "I'm not saying they treated me like a kid from then on, but they knew me as a kid, more what I used to be than what I eventually became. That's why I have more opportunity here to create something. Renault are a team on the rise. "To think that you've got the chance to lead a team of, say, 1000 people, it's intimidating and exhilarating at the same time. "To think that you could have that much power is humbling, but I do acknowledge that I have some power to rally people together. The first thing I needed to do was recognise that I could have a lot of influence. I'm excited to take that on." Even Mercedes boss Toto Wolff told the Herald Sun "we always had an eye on Daniel" but didn't make a move with the talent they already had, while potentially leaving the door open in the future for the 29-year-old Ricciardo. Ricciardo was happy with the changes from the team and is hoping to close the gap substantial gap back to Renault in fourth with Mercedes, Ferrari and Red Bull well out in front. Ricciardo tried to ease concerns ahead of next week's season opener in Melbourne, saying Renault would adopt a different approach this season which he believed would keep them "ahead of the curve". "I think the philosophy this year will be quite different as far as the upgrades we get," Ricciardo said. "I think the plan and the structuring is going to change, and their philosophy on what to bring and when to bring it. I believe that is going to change. "I will be part of that and trust that process, and hope we are staying ahead of the curve." 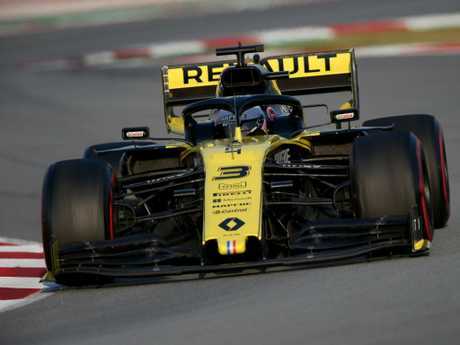 Ricciardo was adamant great gains were ahead for Renault's engine with the French manufacturer pouring cash into their F1 arm, resulting in encouraging recent test results in Spain. Renault's engine technical director Remi Taffin claimed the team had made "great gains" in the off-season judging by test results. "It's actually a big step that we did over the winter, it's one of the biggest we did over the last five years," he said. Ricciardo will be looking to improve on his best finish at Melbourne - fourth place which he has achieved twice.